What could an MBA do for your career? Get you a promotion or pay-rise, facilitate a career switch or help you launch a startup business? Probably all of the above. Choosing the right business school is crucial, however. QS has released its annual Global MBA Ranking, this year analysing more than 250 of the best programs in the world. QS rated them on employability for graduates, entrepreneurship and career outcomes, return on investment for students; judged by salary increase, academic prowess, plus student and faculty diversity. 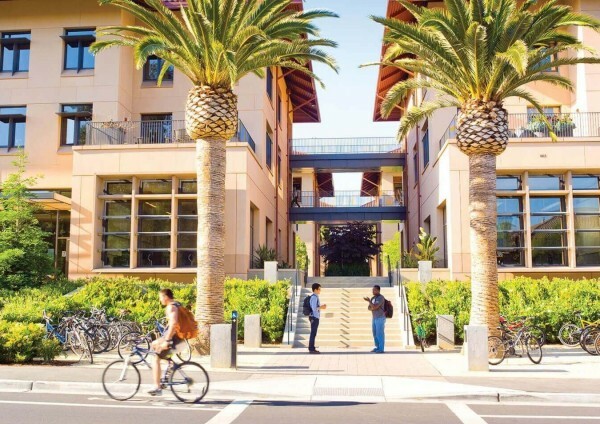 Stanford University’s Graduate Business School leads the overall Global MBA ranking, performing especially well in terms of entrepreneurship and alumni outcomes, as well as thought leadership. Harvard Business School and the University of Pennsylvania’s Wharton School complete the top-three. The trifecta lead the continued trend of US dominance of MBA rankings. Six of the top ten MBA providers ranked by QS are based in the US, with all of them performing well in terms of employability and thought leadership. However, US MBA programs performed less well in terms of return on investment. Their programs are generally double the length of courses in Europe, meaning students have to pay more fees and sacrifice more salary to study. European schools London Business School, INSEAD, HEC Paris, and IE Business School all performed well, coming in the coveted top-10 of the ranking. The UK is the best location in Europe for getting an MBA, according to QS. Along with LBS, the University of Oxford’s Saïd Business School, Imperial College Business School in London and the University of Cambridge’s Judge Business School are in the global top-25. On a country basis, MBA providers in Germany, Spain, Hong Kong, and Singapore show significant year-on-year progress in the QS ranking. Singapore and Hong Kong have the largest number of highly-ranked Asian business schools including INSEAD, which has campuses all over the world. Also noteworthy are the growing number of Latin American business schools in the ranking: 10, up from five last year. EGADE Business School of Mexico is the region’s best, followed by INCAE Business School and IPADE Business School. Argentina and Peru are also represented. QS also established a new Oceania ranking, led by Australia’s Melbourne Business School, AGSM, and Monash Business School. The Global MBA ranking is released alongside QS’s Masters in Management, Masters in Finance, Masters in Business Analytics, and inaugural Masters in Marketing tables. Collectively these rankings cover the post-graduate programs most in-demand amongst employers around the world. MIT’s Sloan School of Management has the best business analytics course; LBS is top for masters in finance; HEC Paris for the masters in management; and Columbia Business School came up trumps in the masters in marketing ranking. The QS researchers compiled the ranking via three surveys. One was a poll of global employers to understand how MBA programs are regarded; another was of faculty to understand the schools’ academic credentials; the third of schools themselves to glean data on student outcomes. According to the figures, the average MBA student is aged 29 with 5.6 years of work experience. Their salary after graduation was $83,186, up from pre-MBA pay of $46,974. He says they gleaned “the collective insights from tens of thousands of global employers and thought leaders”, ensuring “candidates can select institutions that are well-respected and lead to rewarding career outcomes."